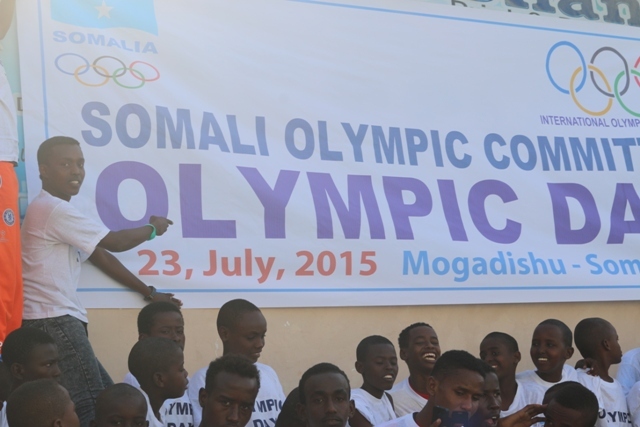 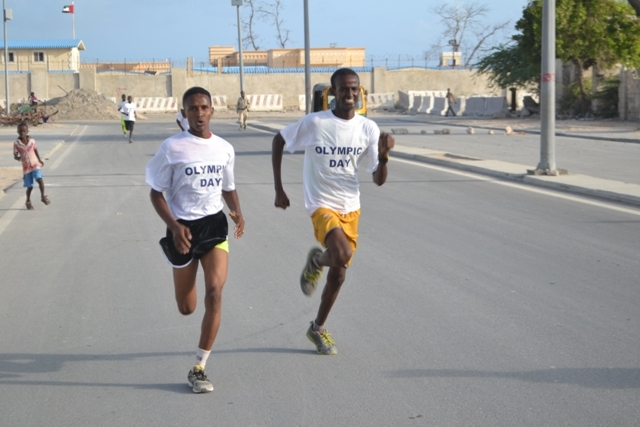 Somalia National Olympic Committee, (GOS) today organized a series of sports events in Mogadishu to mark World Olympic day which falls on 23rdof June every year, but commemorations were delayed for a month because of fasting month of Ramadan. 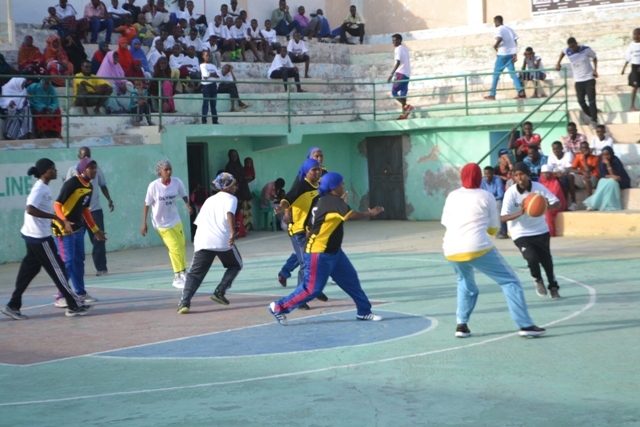 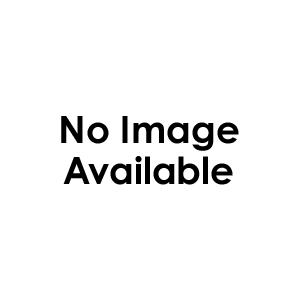 The ceremony which was attended by officials from all sporting federations in Somalia featured street races by amateur runners, performers; taekwondo matches and even basketball game by female players. 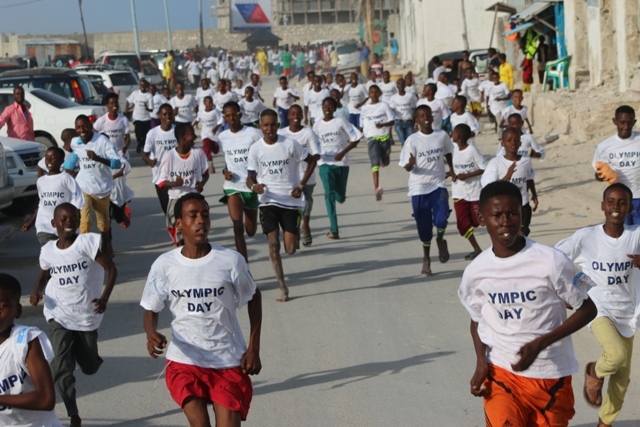 Some 200 youths took part in the event held at the Iconic Aden Haji Yabarow Wish Stadium, named after the fallen Somalia top Olympic official in suicide bombing in 2012. 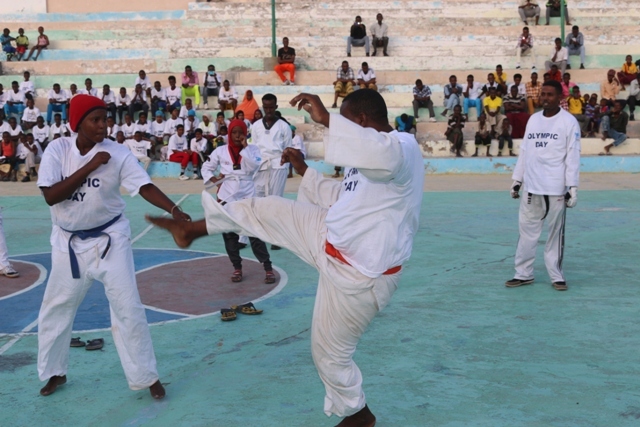 Somali cultural groups including dance bands displayed their talent and kept crowds on their feet in entertainment. 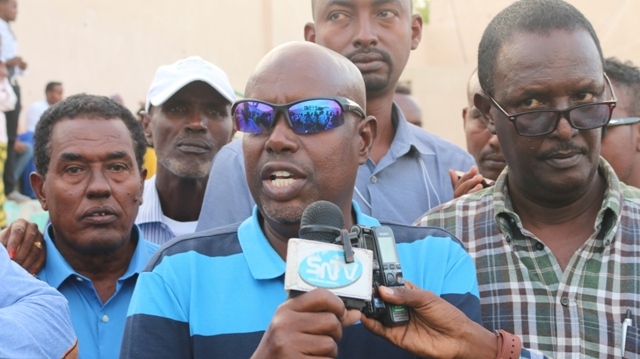 Mohamed Huurshe Hassan, the deputy secretary general for GOS said. 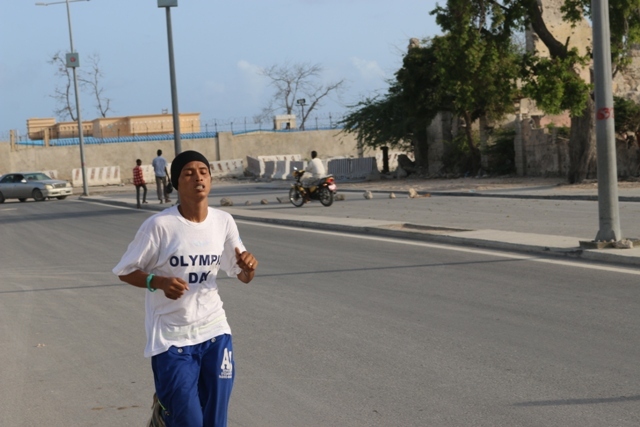 "Every year the world marks Olympic day on 23rd June, but this year we are marking one month later due to the Ramadan month which was difficult to hold this event as people were fasting, so I would like to thank all the participants”. 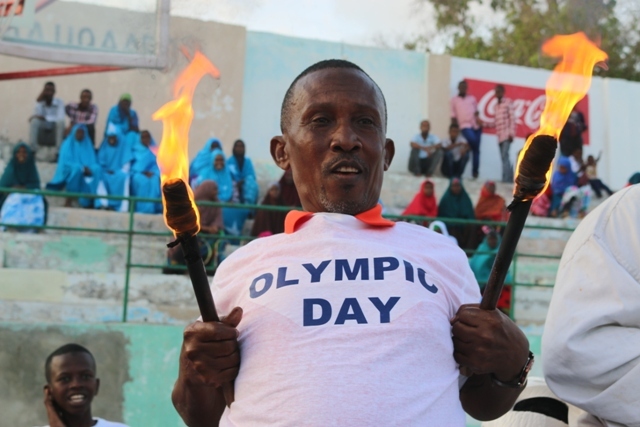 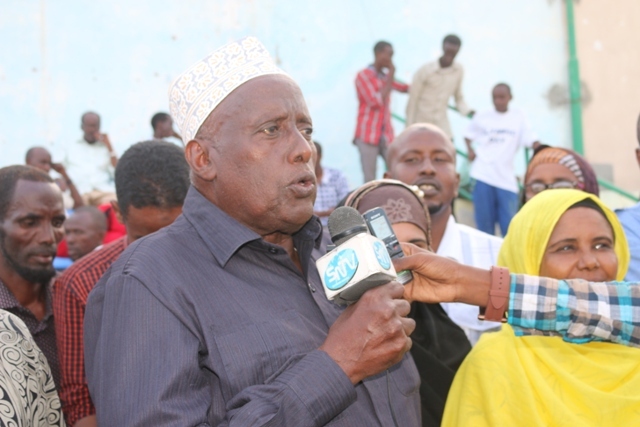 Ibrahim Hussein Ali Aka Rombe, the head of regional relations of GOS, said they have considerable respect for the Olympic Day and that they are happy this commemoration has fallen on festive season. 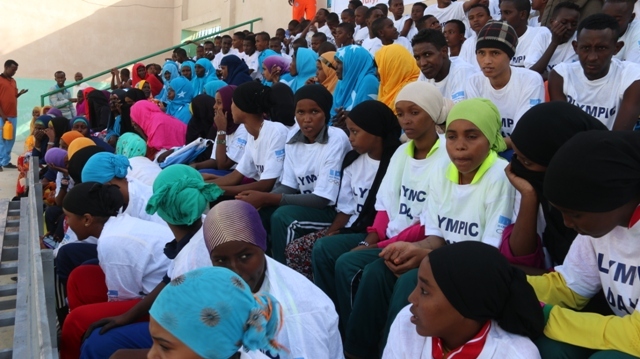 At the end of the ceremony participants were awarded with accolades, medals and certificate of appreciation.